We provide on-site training for your organization. 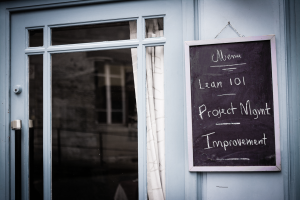 Lean East will customize training for your team. We first conduct a training needs analysis to determine the appropriate path for developing your organization and workforce. Our experience indicates that process improvement training provides the best ROI when coupled with an improvement project, in order to provide an immediate opportunity for the workforce to put their new skills to use in practice. We encourage learning by doing, and learning while doing. The following list shows offerings that we currently provide. Course lengths vary by client need and can be combined with a project for immediate results! Call us today at (207)-751-3215 or email us to talk about your training needs.